Organizations of all sizes and industries now rely on vendors and other third parties for crucial business processes — which exposes those organizations to data security risk (fraud, data theft, espionage) like never before. The risk itself isn’t a surprise but assessing and remediating it can be maddeningly difficult. 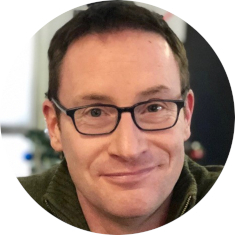 Matt Kelly is editor and CEO of RadicalCompliance.com, a blog and newsletter that follows corporate governance, risk and compliance issues at large organizations; it includes the “Compliance Jobs Report,” a weekly update on compliance professionals moving around the industry. He also speaks on compliance, governance and risk topics frequently. Kelly was named as “Rising Star of Corporate Governance” by the Millstein Center for Corporate Governance in the inaugural class of 2008. He was also recognized in Ethisphere’s “Most Influential in Business Ethics” list in 2011 and 2013. In 2018, he won a Reader’s Choice award from JD Supra as one of the top ten authors on corporate compliance. Kelly previously was editor of Compliance Week, a newsletter on corporate compliance, from 2006 through 2015. He lives in Boston, Massachusetts, and can be reached at mkelly@RadicalCompliance.com or on Twitter at @compliancememe.